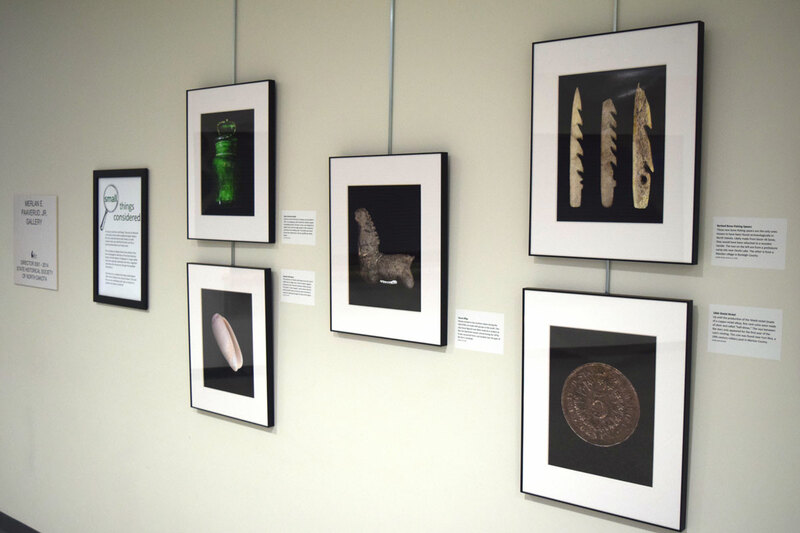 The 14 photos on display show a few artifacts from the archaeological collections of the State Historical Society of North Dakota. If displayed in a large exhibit case, they might get overlooked. But here, magnified many times their actual size, they get the spotlight they deserve.